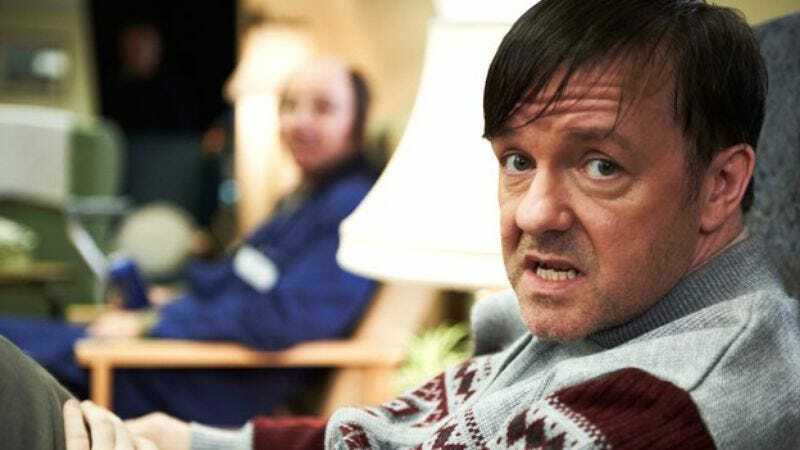 Ricky Gervais’ new series Derek will make its Netflix debut September 12. The series, which Gervais writes, directs, executive produces, and stars in, follows a mentally challenged man living in a nursing home. As previously reported, Derek aired in the UK to initial controversy but later garnered generally favorable reviews. All seven episodes of the show will be released simultaneously, giving Gervais fans three and a half hours of cringe comedy to binge watch. A second season has already been ordered in the UK. While Derek might not have the same buzz surrounding it as Arrested Development, it will almost certainly be better than Netflix’s most recent original programing venture Hemlock Grove, unless Derek is secretly a werewolf and all of the residents of the nursing home turn out to be vampires.